Slice Of Slim: FOOD FOR THOUGHT : How Many Suitcases ? 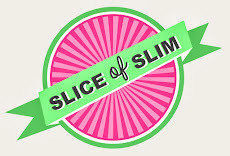 We are off on holiday for a few days....so I thought I would say; please excuse the lack of blogging for a week or so...perhaps use this time to catch up on some of the posts you may have missed, or try a new recipe from Slice-of-Slim. I promise I have loads of exciting ideas to blog on my return and, knowing me, I will pick up all sorts of delicious and colourful inspirations on my travels! I'm going to leave you with some food for thought whilst I'm away. I don't have a mathematical mind, so am always intrigued when people come up with interesting comparisons, as I just don't think that way. The other day, my husband and I were discussing our baggage allowance for our holiday. We are allowed one suitcase each, at 20kg per suitcase. (That's pretty heavy when full). "Do you realise that between the two of us, we have lost THREE of those suitcases, full of FAT?" We are 9 stone or 60kg lighter as a couple than we were. (We have lost exactly the same amount of weight, each). We were the biggest foodies you can imagine, with some very bad over-eating and snacking habits. It took a determined mindset and a few changes in our eating habits to have success with our weight loss. We believed in the Weight Watchers plan and made it work for us. We weigh and track everything we eat but still adore food and retain the joy of eating, with no feeling of deprivation on a daily basis, or guilt if we have a treat. We will continue to live this way for ever...because we never want to lug those 3 suitcases of fat around with us ever again! If we can do it you can too! What a great thought to leave us with. Have a fantastic break. Looking forward to your return but as you advise will use the time to catch up on some items I've missed. It's a fantastic comparison & does prove we can all do it. All it takes is a bit of determination & belief. I should take my own advice Lol.